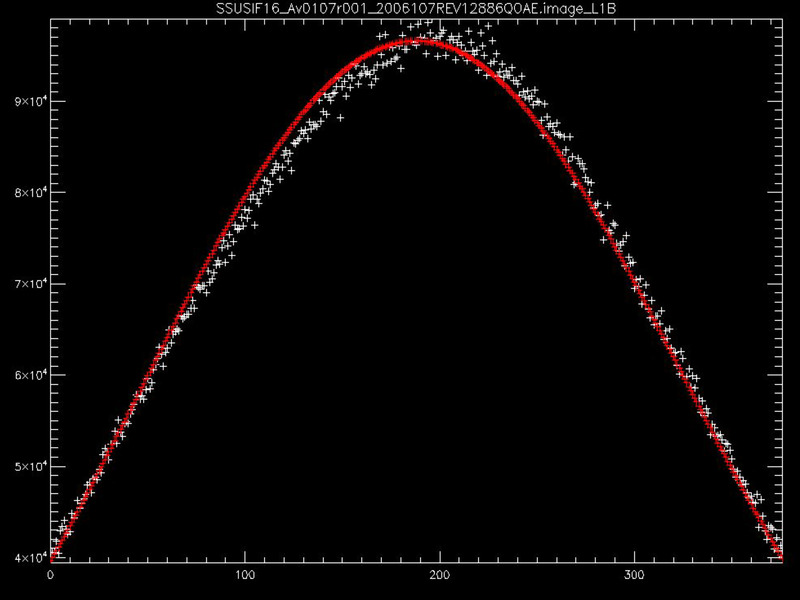 NOTICE - All SSUSI data products have been updated with an iImproved calibration that corrects scan mirror reflectivity degradation artifacts. 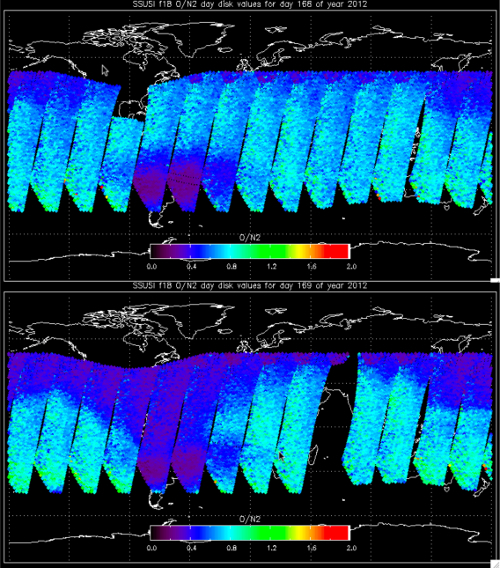 Beginning in 2003, the Defense Meteorological Satellite Program (DMSP) satellites began carrying the SSUSI instrument - a combination of spectrographic imaging and photometric systems designed to remotely sense the ionosphere and thermosphere. The long term focus of the SSUSI program is to provide data concerning the upper atmospheric response to the sun over the changing conditions of the solar cycle. 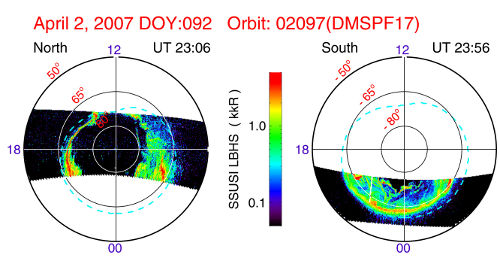 Data collected by SSUSI instrument can help identify structure in the equatorial and polar regions. 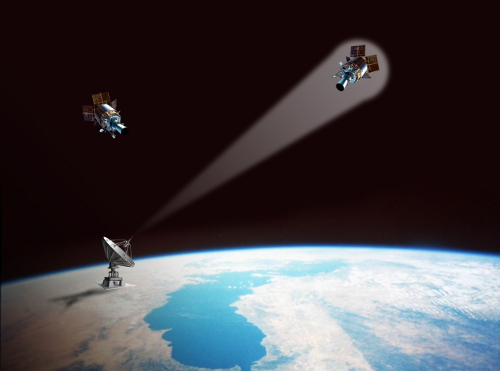 SSUSI was designed for the DMSP Block 5D-3 satellites. 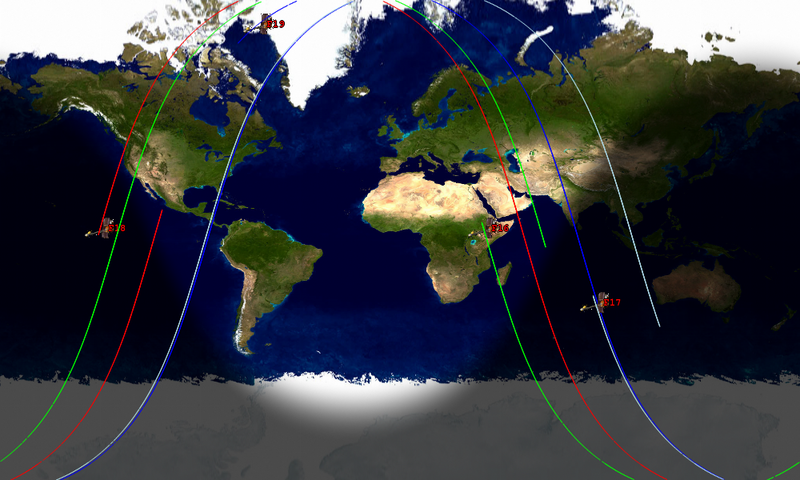 These satellites are placed into nearly polar, sun-synchronous orbits at an altitude of about 850 km. SSUSI is a remote-sensing instrument which measures ultraviolet (UV) emissions in five different wavelength bands from the Earth's upper atmosphere. SSUSI is mounted on a nadir-looking panel of the satellite. 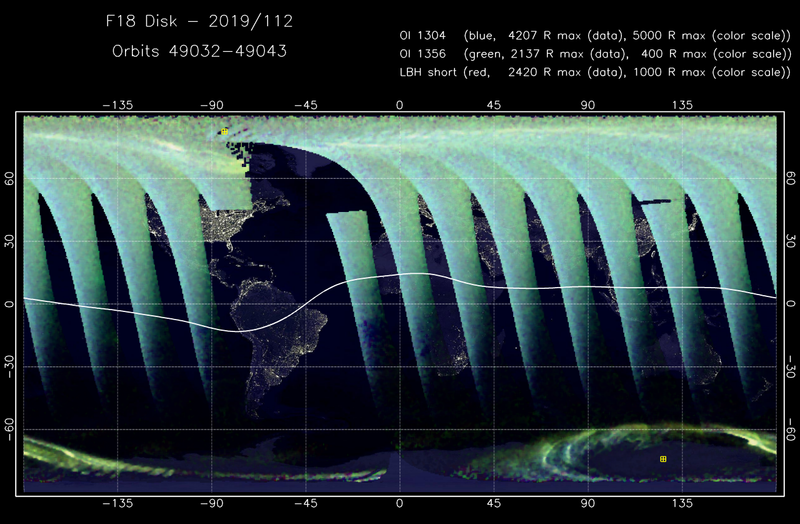 The multicolor images from SSUSI cover the visible Earth disk from horizon to horizon and the anti-sunward limb up to an altitude of approximately 520 km. The UV images and the derived environmental data provide the Air Force Weather Agency (Offutt Air Force Base, Bellevue, NE) with near real-time information that can be utilized in a number of applications, such as maintenance of high frequency (HF) communication links and related systems and assessment of the environmental hazard to astronauts on the Space Station. During storms, aurora do not always conform to an oval. SSUSI identi!es the structures that produce additional radar clutter and communications interference. 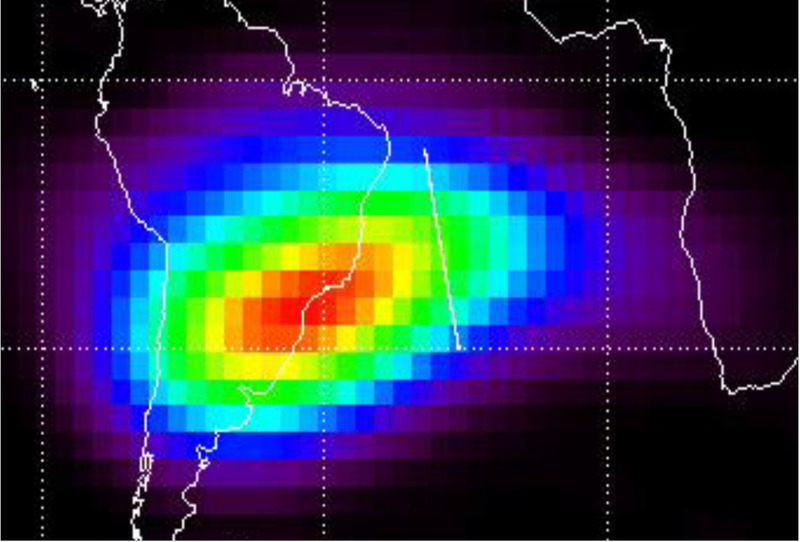 Maps of the Aurora in both the Northern and Southern Hemispheres obtained every 100 minutes can be used to identify radio blackout and maps of degraded communication areas. 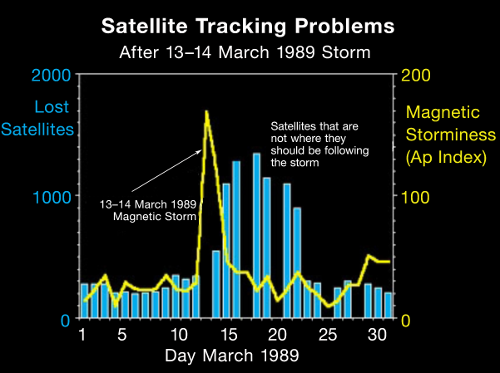 Monitoring of conditions and orbits where satellite tracking failures are likely due geomagnetic storms. These storms can lead to a rapidly expanding atmosphere that can cause more friction for satellites. 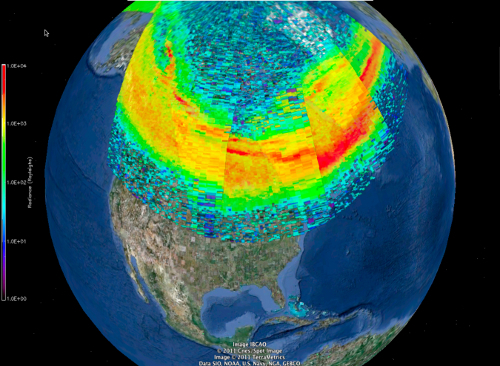 Storms can cause rapid increases in satellite drag, leading to errors in tracking satellite assets. 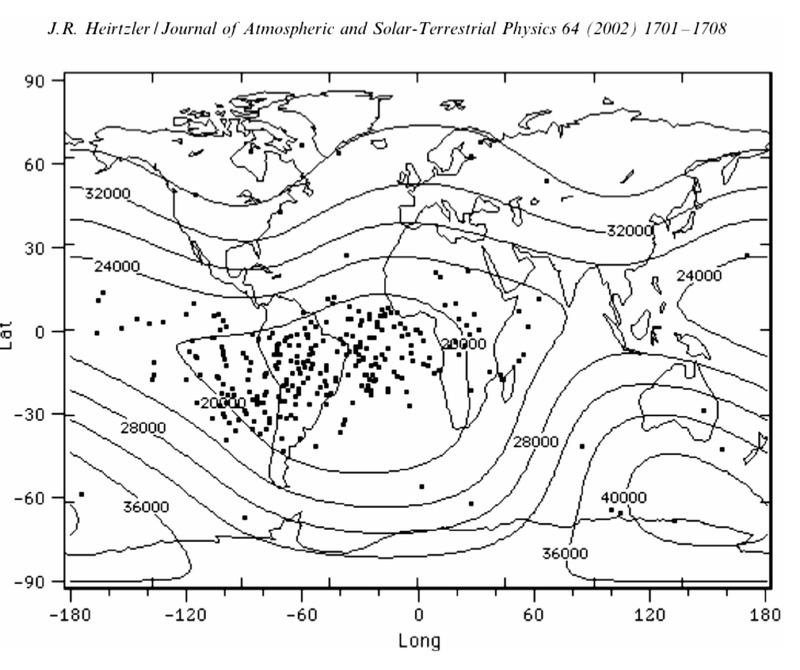 Regions where the space-weather-heated atmosphere expands to higher altitudes, causing higher satellite drag. a system of three nadir-looking photometers (NPS) which operate in the visible portion of the electromagnetic spectrum. The SIS produces simultaneous monochromatic images at five "colors" in the spectral range 115nm to 180nm. The NPS consists of three photometers with filters designed to monitor the airglow at 427.8nm and 630nm and the terrestrial albedo near 630nm. The SSUSI Ground Data Analysis System (GDAS) is used to process the SSUSI sensor data at AFWA with a mirror processing system run at APL. The SSUSI GDAS creates SSUSI Level 1B data, Sensor Data Records (SDRs), and Environmental Data Records (EDRs). 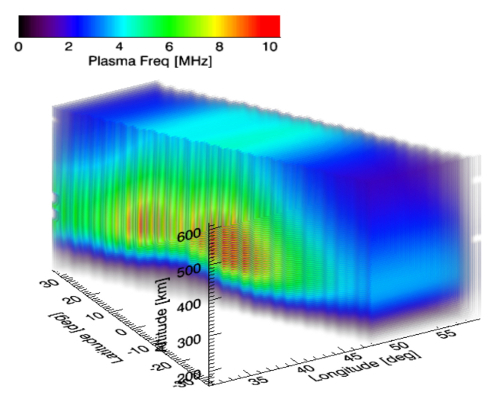 The Level 1B are the calibrated, geolocated instrument resolution data. 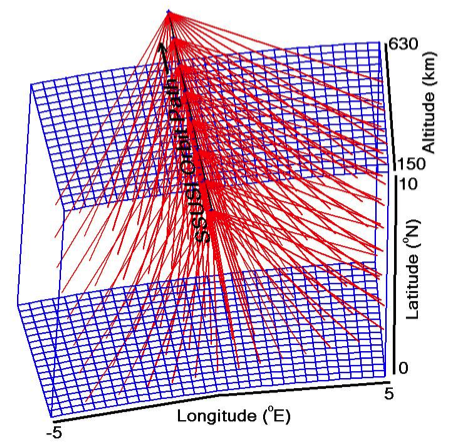 The SDRs contain gridded data directly measured by the sensors, such as photometer counts, uncertainties, light intensities and pointing information derived from the SSUSI raw sensor data, the satellite ephemeris data obtained from AFWA, and data obtained from the AFWA solar geophysical indices (e.g., Kp, F10.7, etc.) 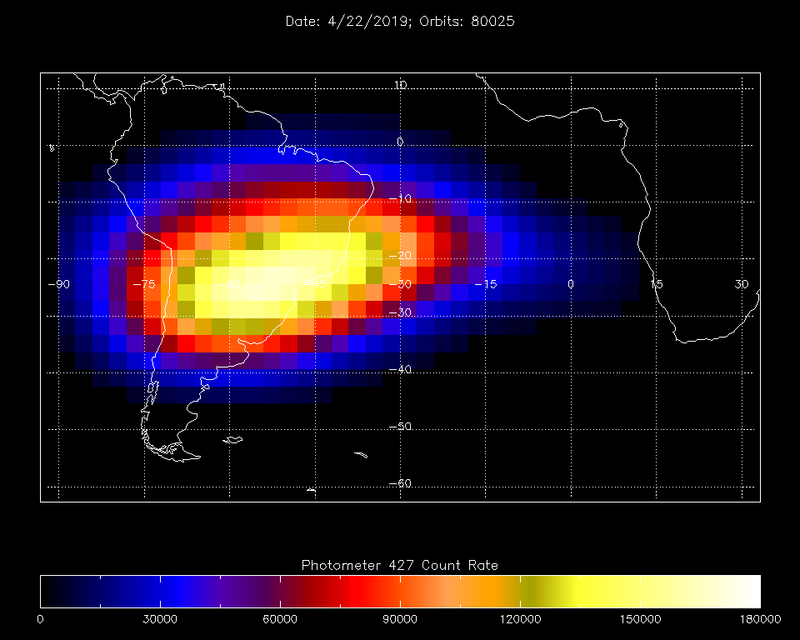 The EDRs contain environmental parameters which are derived from the sensor data by scientific algorithms specific to day, night and auroral regions. 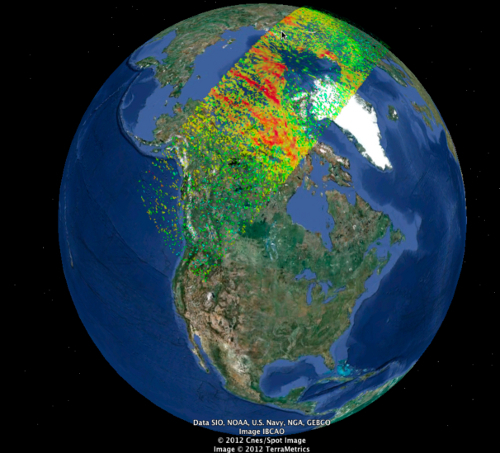 The Air Force Weather Web Services (AFW-WEBS) display tool for overlaying terrestrial and space weather data (including SSUSI) on a global map. 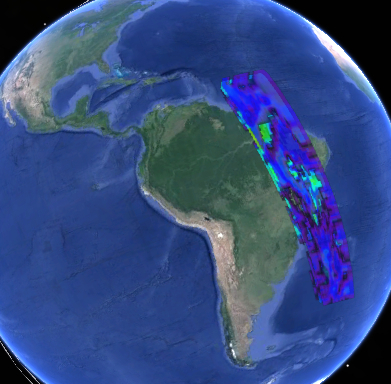 Images made by the SSUSI GDAS including cylindrical projection maps of SSUSI data and Google Earth layers of geolocated data. These data are available in this web site. 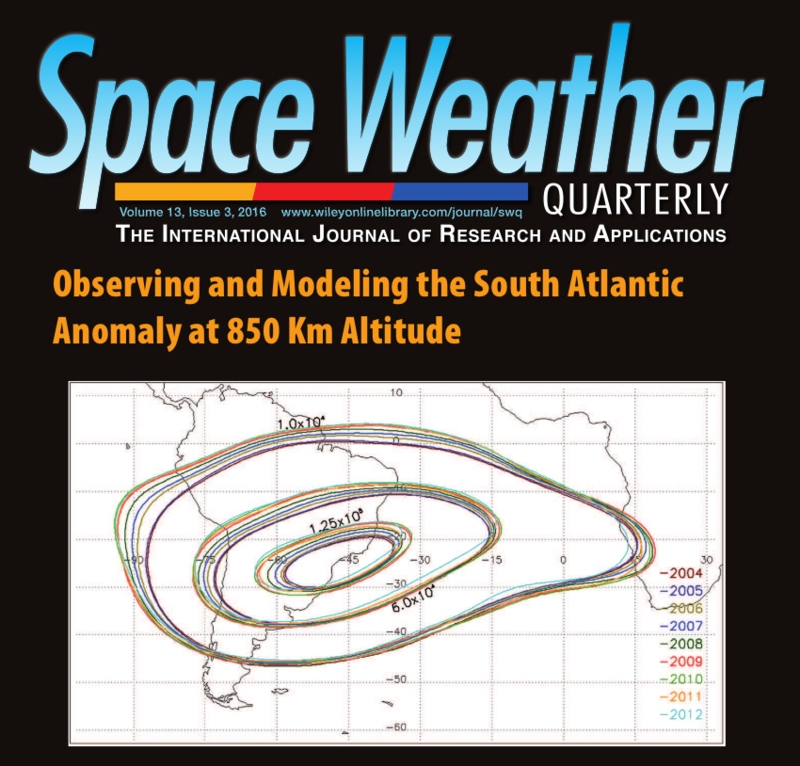 Recently SSUSI data have been used with trending to create forecast products to predict equitorial scintillation and Auroral oval locations.